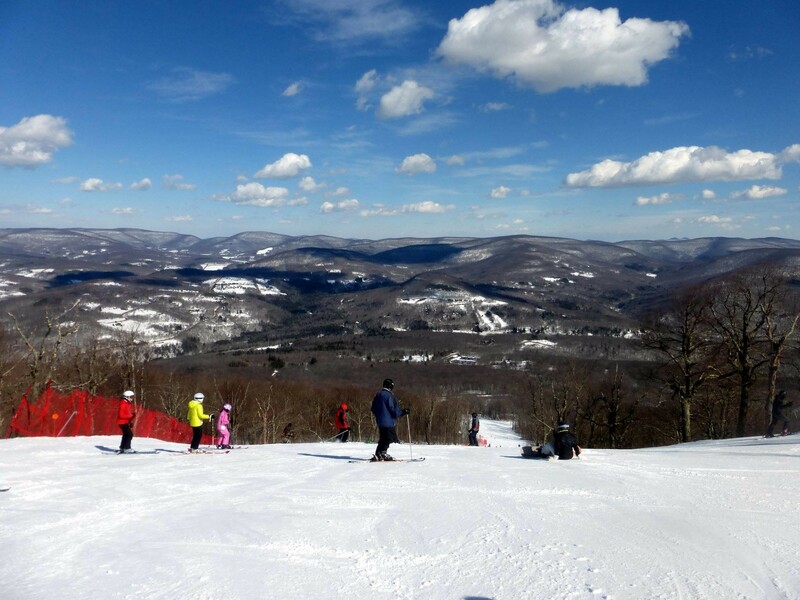 Belleayre offers something for everybody, from skiing to snowboarding to cross-country skiing. While the area does designate just over half of its runs as intermediate, advanced and beginner skiers/riders are not without their runs. Youngsters will enjoy the SkiWee Carousel, a teaching aid; and intermediates have a 7,000-foot trail called Deer Run on which to play. There are two glade areas on the upper mountain, and additional expert terrain in the area under the Tomahawk quad. Snowmaking covers Horseshoe Pass, another upper mountain trail. The area has 171 acres to romp in, 96 percent of that covered by snowmaking equipment. Cafeterias, bars, ski shops, and cocktail lounges at lower and upper lodges. Rental equipment (including helmets). Ski, snowboard, and cross-country lessons on-site. Nursery available for children ages 1 to 6. First aid; hospital eight miles away. National Ski Patrol. Get Snow Reports, Powder Alerts & Powder Forecasts from Belleayre straight to your inbox!